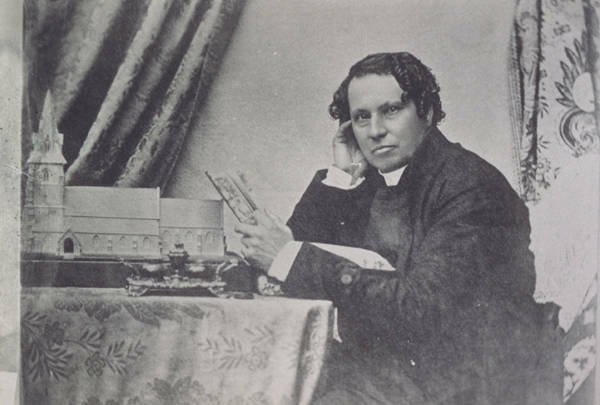 Francis Russell Nixon (1803–79), first Anglican bishop of Tasmania, was born in Kent, the son of an Anglican clergyman. A graduate from Oxford, he served at Canterbury Cathedral before being appointed in 1842 as first bishop of Tasmania. He arrived in Hobart the following year, and held the bishopric until 1863. Nixon held 'high' views, making him ready to assert his church's claims against other denominations and against civil power; likewise he upheld episcopal authority within the church. Such attitudes aroused much tension. In the 1840s the most dramatic concerned Nixon's relationship with Lt-Governor JE Eardley-Wilmot whose recall (1846) he helped effect. From 1850 local Anglicans sundered on the issue of baptism's capacity to nullify original sin, Nixon affirming that against 'Low Church' opposition. The man seems to have lacked both missionary commitment and spiritual force. He said bitter things of Tasmania and its residents. The record had its positives. Nixon denounced the social effect of convict transportation. He fostered church schools, notably Hutchins and Launceston Grammar. Despite early misgivings, in 1857 he established a Synod that eased the Church's managerial problems, and prepared for the end of state aid. If no missionary, Nixon yet travelled throughout his diocese, the Bass Strait islands included. His artistic talent found expression in his home Runnymede, in drawings, and in photographic work, most notably of Aborigines at Oyster Cove. With all the contests around him, the wonder might be that his tenure lasted so long. Retirement passed in Italy, with a third marriage and further fatherhood. Further reading: G Stephens, The Anglican Church in Tasmania, Hobart, 1991.